Trail 86 mm / 3.4"
Wheelbase 1341 mm / 52.8"
EAST TROY, Wis. (January 23, 2006) - Erik Buell and company come full circle with the introduction of the 2007 Buell XBRR, a limited-edition production racing motorcycle designed exclusively for closed course competition. A spiritual successor to Buell's first motorcycle, the 1983 RW750, the XBRR is poised to change the face of privateer racing with a professional-level, race-ready, production-based platform featuring top-shelf racing technology and typical Buell innovation. 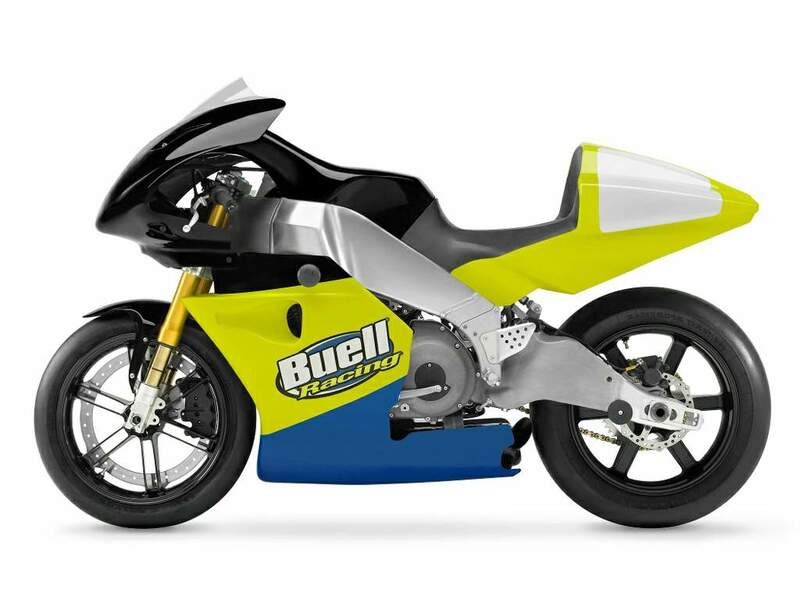 "The XBRR combines the current culmination of Buell's leading edge chassis technology and Harley-Davidson's air-cooled V-Twin powertrain development in a platform designed by and developed for dedicated racers," said Erik Buell, Chairman and Chief Technical Officer, Buell Motorcycle Company. For Erik Buell, the XBRR marks a return to his racing roots. 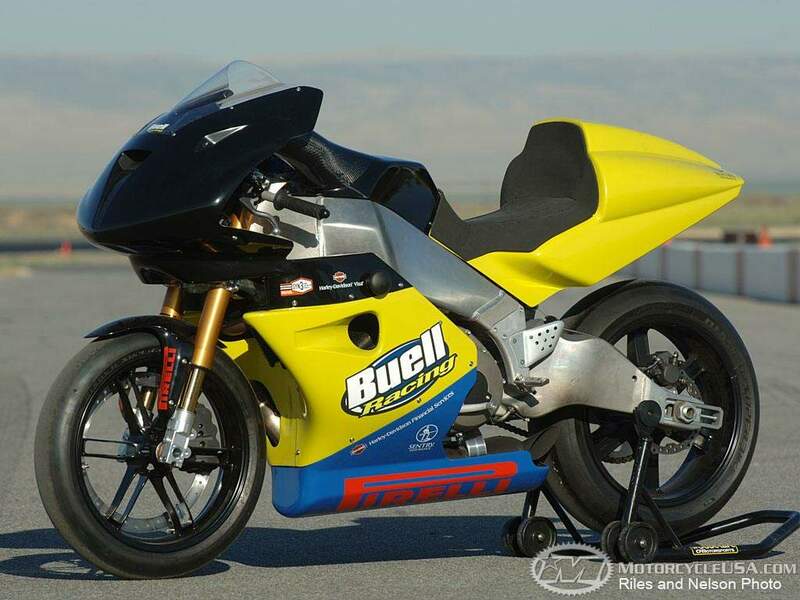 As a successful privateer road racer early in his career, Buell eventually built his own race bikes for the AMA's then-premier Formula 1 class. The RW750 was a hand-built race bike, and it became the first official Buell motorcycle. Two were produced before the AMA discontinued the class after 1985. Buell then translated his race-bred design principles into a line of successful street bikes leading up to the current XB platform. The XBRR chassis is the revolutionary XB design with fuel-in-the-frame and oil-in-the-swingarm, modified with a billet axle adjustment system and chain-drive to allow gearing changes for different race tracks. Suspension travel is managed by fully adjustable Öhlins units, with 43mm front forks and a remote-reservoir rear shock. It is illegal for anyone to ride this motorcycle on public roads. 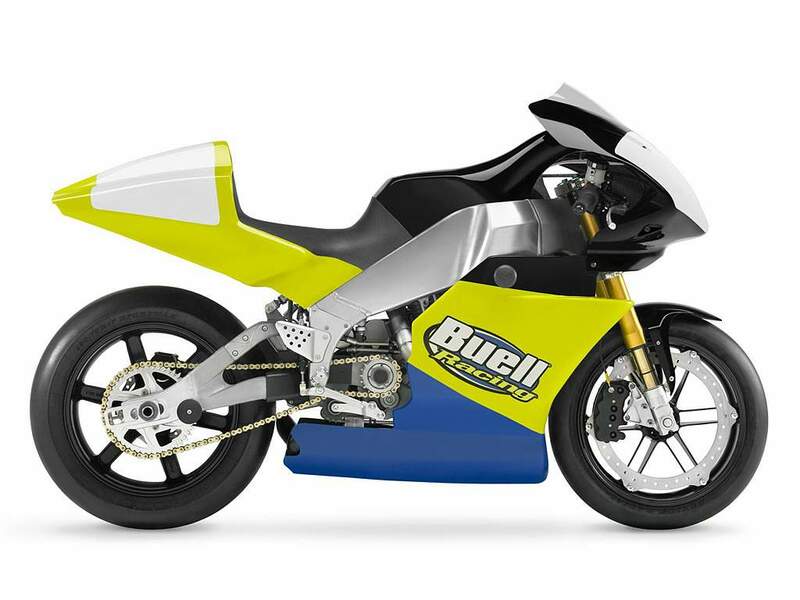 The Buell XBRR motorcycle does not meet NHTSA or EPA regulations for on road use. This motorcycle may only be used on closed courses. We reserve the right to discontinue models or change specifications at any time without incurring obligations. Vehicle and accessory specifications may vary from country to country depending on local laws. Some features and accessories are not available in certain countries. Be aware that many countries prohibit the importation, registration and/or use of vehicles and accessories not built to their countries specifications. Check with your local dealer for details.